Since its introduction in 1921, the Gucci brand has achieved worldwide recognition for its luxurious and innovative designs. Impeccable attention to detail and refined Italian craftsmanship is synonymous with this brand, and is clearly evident in this collection of Gucci sunglasses for women at Mister Spex. 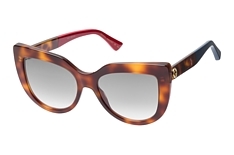 Gucci successfully identifies with the moods, tastes and aspirations of today's generations, to provide fashion conscious ladies with the means to deliver an impact. 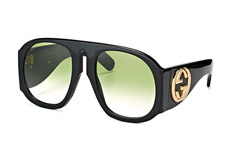 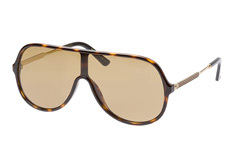 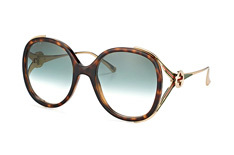 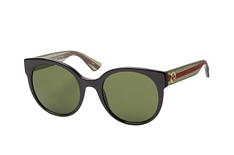 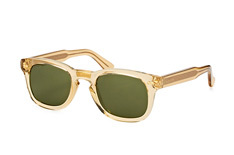 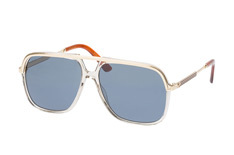 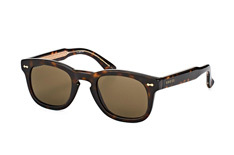 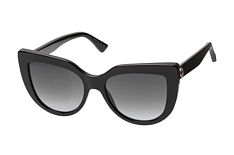 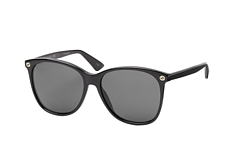 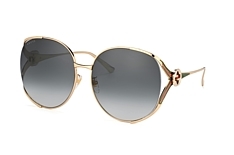 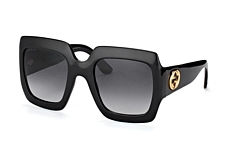 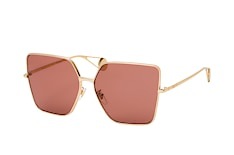 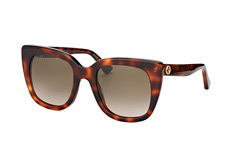 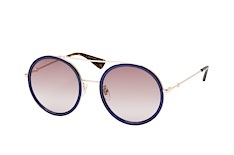 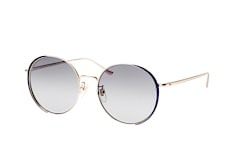 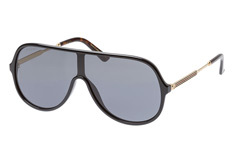 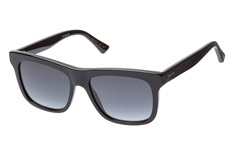 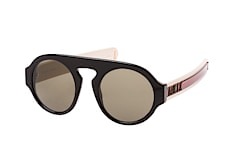 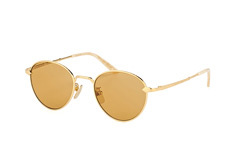 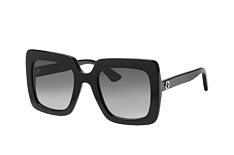 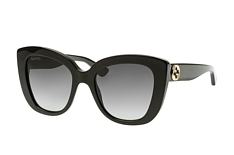 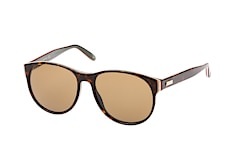 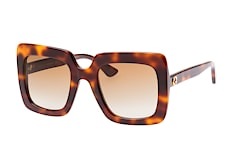 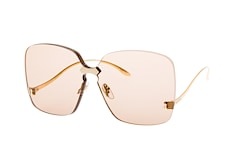 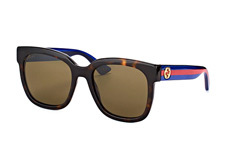 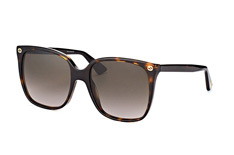 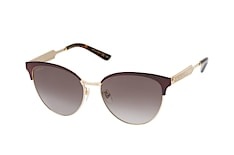 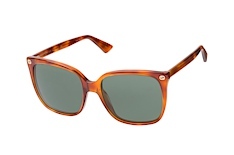 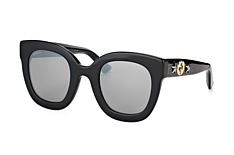 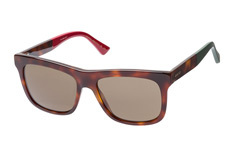 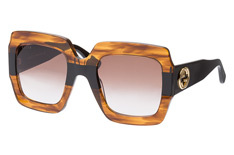 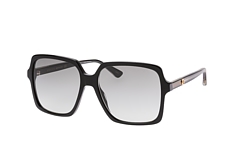 Featuring the iconic G logo on the arm, Gucci sunglasses for women at Mister Spex are instantly recognisable. 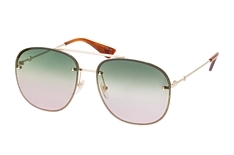 Within the collection is a gorgeous choice of styles in various colour options, including aviators, oversized, square-framed, wraparounds and oval framed. 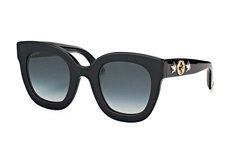 Frames are constructed from acetate, metal, or a combination of materials. For a timeless effect, a pair of aviators - which fuse a classic design with modern elements, may be readily worn with a power suit to work. 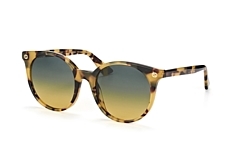 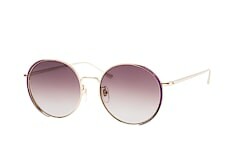 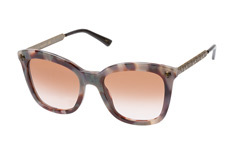 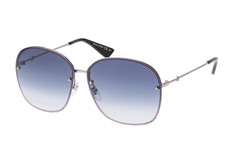 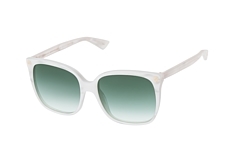 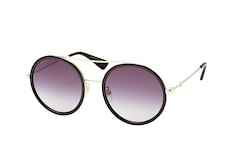 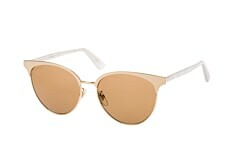 For adding a splash of colour to a summer look, a pair of Gucci sunglasses for women from Mister Spex is a fine choice. 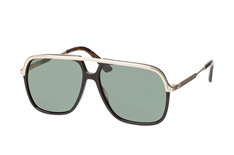 Varieties with decorative arms or coloured lenses provide a striking statement when teamed up with shorts and a t-shirt. 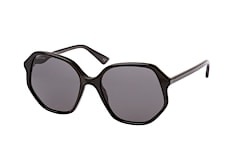 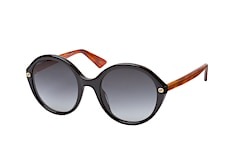 Exuding attitude and style, Gucci sunglasses for women at Mister Spex also serve a practical purpose through essential UV protection against harmful sunrays. If you like what you see at Mister Spex online optician, you'll be pleased to know that same day shipping is available for every pair of sunglasses ordered before 2pm!